Discover la Trinité sur Mer, a lively coastal town located in the Gulf of Morbihan, 5 km from the campsite. Relaxing, beach, watersports, hiking and exploring the local heritage… La Trinité sur Mer boasts a fabulous choice of outdoor activities. Discover the world’s most beautiful Neolithic site and white-sand beaches on a guided tour in a tourist train. Stop off at La Trinité’s famous marina, take a stroll along the coastal path from the harbour to Men Du and discover the Salt Pans of Kervillen, a preserved natural site which will delight nature lovers. 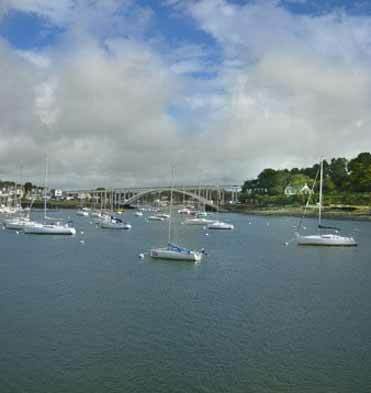 La Trinité is a mecca for watersports : sailing, optimist, catamaran, but also offers a number of cycle paths and coastal paths so you can explore the Gulf of Morbihan on foot or by bike. If you are looking to rent a mobile home near la Trinité sur Mer, contact Kérabus campsite on + 33 (0)2 97 52 24 90 for availabilities.